This web site on Ruth Frances (née Heilbach) Winstel is under development. We welcome your input, stories, photographs, documents, and other resources. Ruth Frances Heilbach was born on June 28, 1923, in Buffalo, New York. 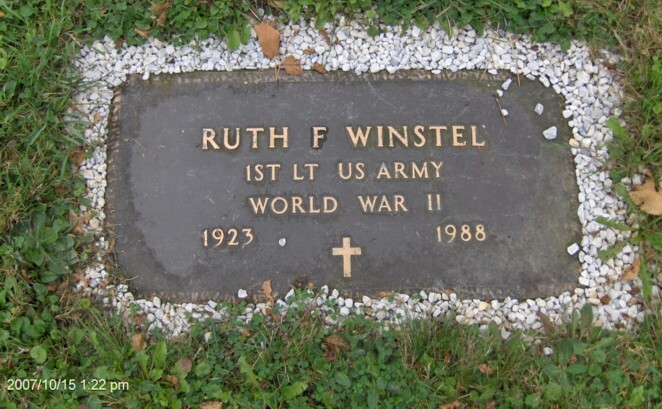 On July 10, 1948, Ruth married Raymond E. Winstel, who was born in Buffalo on March 24, 1923. According to the 1930 U.S. Census, Raymond was the son of Raymond and Gertrude (née Odien) Winstel. Ruth died on June 20, 1988. Raymond died on February 19, 2000. 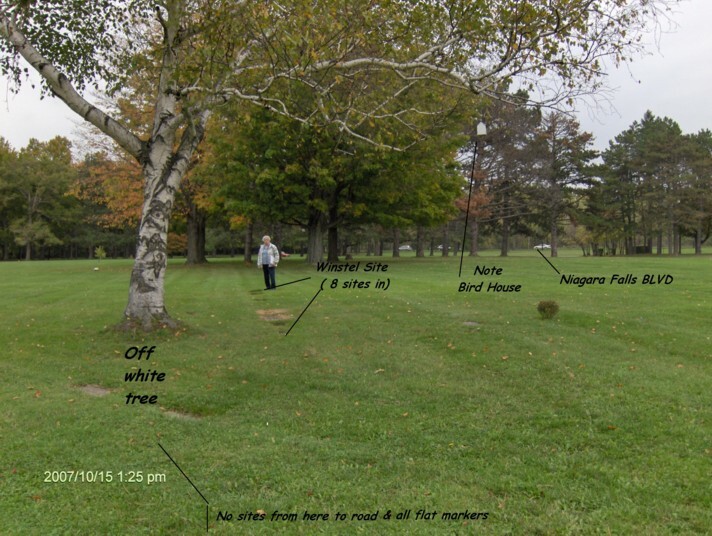 Both are interred at Lot 815, Block 17, White Chapel Memorial Park, Niagara Falls Blvd., North Tonawanda, New York. William E. Heilbach: Born 1899; died 1964. Cecilia A. (née Schlee) Heilbach: Born 1900; died 1969. AnneMarie (née Winstel) Gorski: Living? 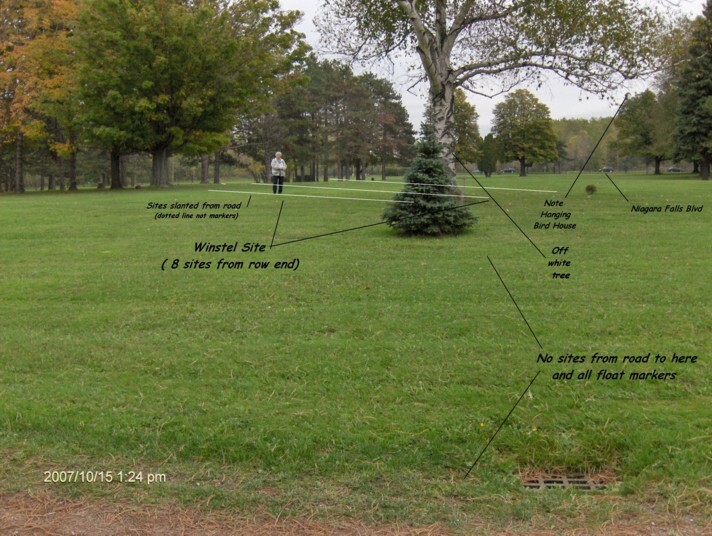 General location of the gravesites of Raymond and Ruth (née Heilbach) Winstel, Lot 815, Block 17, White Chapel Memorial Park, North Tonawanda, NY. A map locating the gravesites is available here. 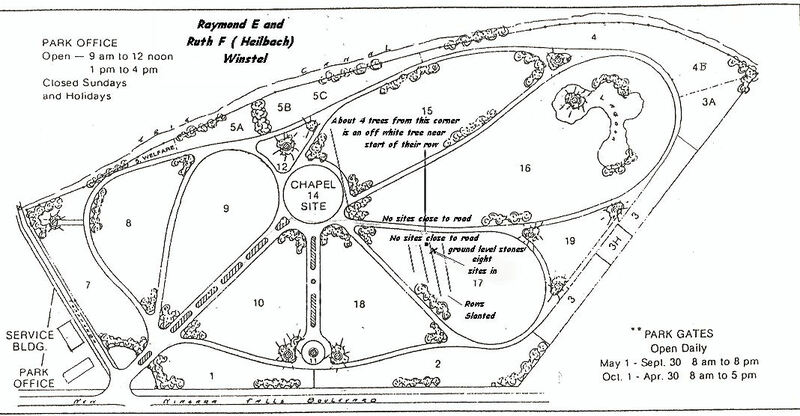 General location of the gravesites of Raymond and Ruth (née Heilbach) Winstel, Lot 815, Block 17, White Chapel Memorial Park, North Tonawanda, NY. 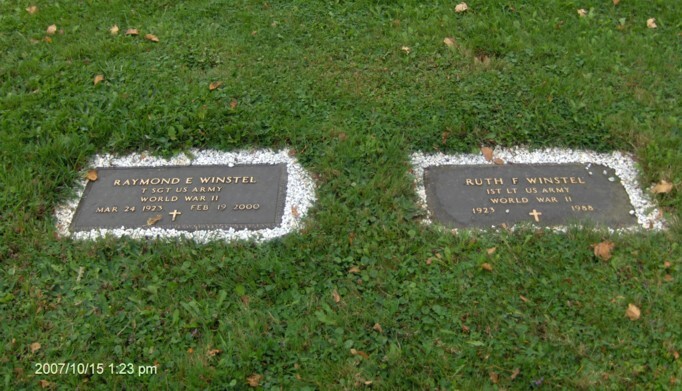 Graves of Raymond and Ruth (née Heilbach) Winstel, Lot 815, Block 17, White Chapel Memorial Park, North Tonawanda, NY. Grave of Ruth F. (née Heilbach) Winstel, Lot 815, Block 17, White Chapel Memorial Park, North Tonawanda, NY. 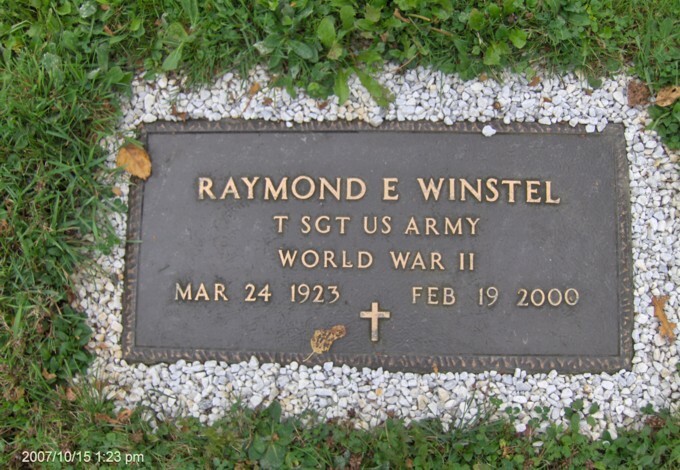 Grave of Raymond E. Winstel, Lot 815, Block 17, White Chapel Memorial Park, North Tonawanda, NY. 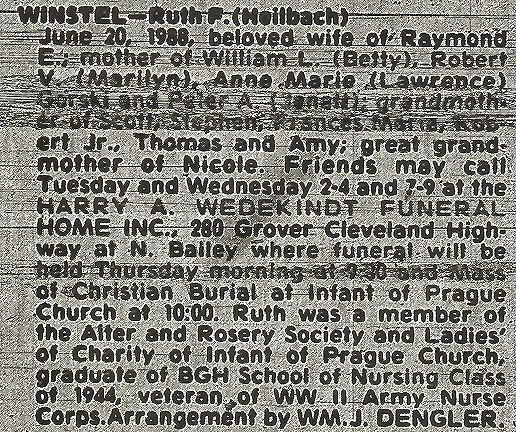 Obituary: Ruth (née Heilbach) Winstel, died June 20, 1988. 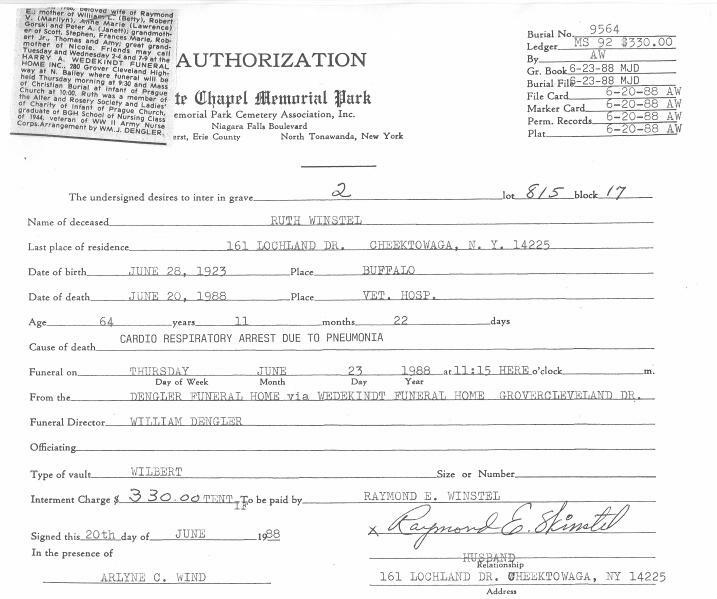 Interment Record: Ruth (née Heilbach) Winstel, Lot 815, Block 17, White Chapel Memorial Park, Niagara Falls Blvd., North Tonawanda, NY. Obituary: Raymond E. Winstel, died February 19, 2000. 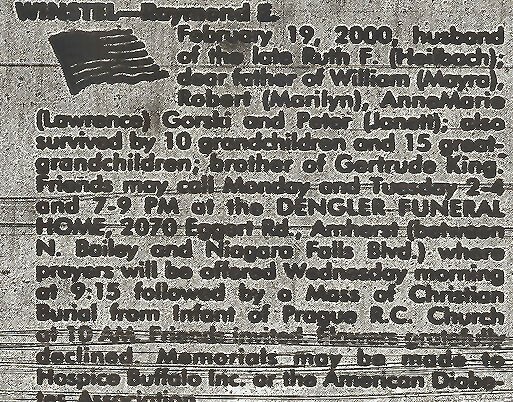 Social Security Record: Raymond E. Winstel, born March 24, 1923; died February 19, 2000. 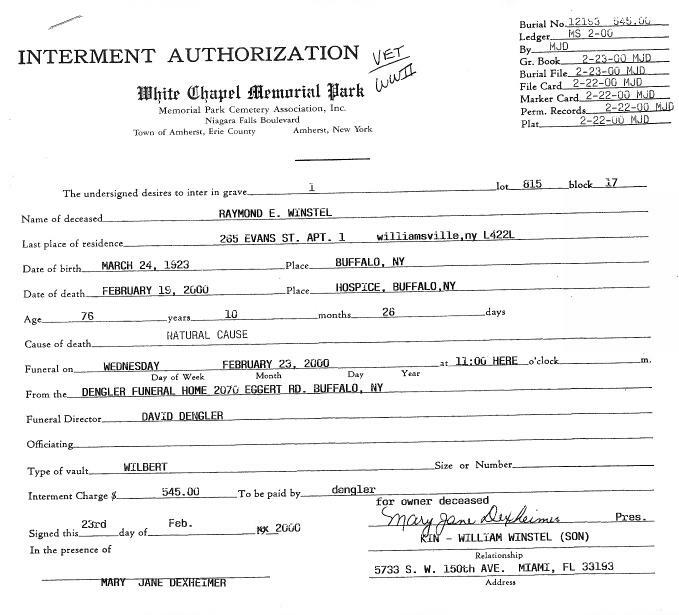 Interment Record: Raymond E. Winstel, Lot 815, Block 17, White Chapel Memorial Park, Niagara Falls Blvd., North Tonawanda, NY.